We all know very well that the tech giant Google is a famous tech company and we should thank its search engine first and many other products such as the Android operating system for example. However, recently, the tech giant Google integrated an efficient tool to its search, a new speed test tool. As we all know Google is a famous company and we should thank its search engine first and many other products such as the Android operating system for example. However, it is impressive what is discovered, then, the great G is full of surprise and always appear to be very interesting. Specifically, we are talking about a website of the company to perform the speed test of our internet. The tech giant Google wanted to offer its own fiber internet service called: Google Fiber; a proposal that was made for the United States, but, regrettably, the project does not finish taking off and is very likely to leave that market. Maybe you do not use Google Fiber, however, we can use the speed test without any problem. The tool is quite simple and fast and will only be enough with the press of a button. To do so, you must press the button: “play” and in a matter of seconds you will have your results. It should be noted that the same has been achieved, thanks to a joint work with SpeedTest. As you may have already noticed this speed test is quite fast, but it may not be so accurate, therefore, its servers are hosted in the United States. And, the results it throws might not be entirely true. Therefore, we recommend using the speed test that integrates the Google search engine itself. 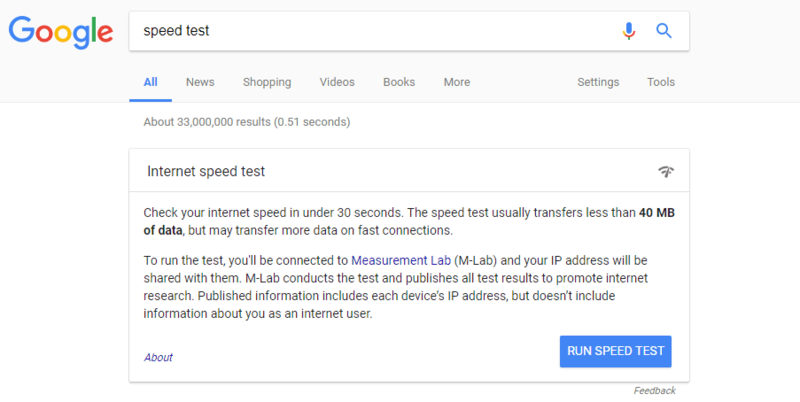 This speed test has been developed in conjunction with Measurement Lab, and the difference with the Google Fiber test, are the servers, therefore, uses connections closer to us for better data. 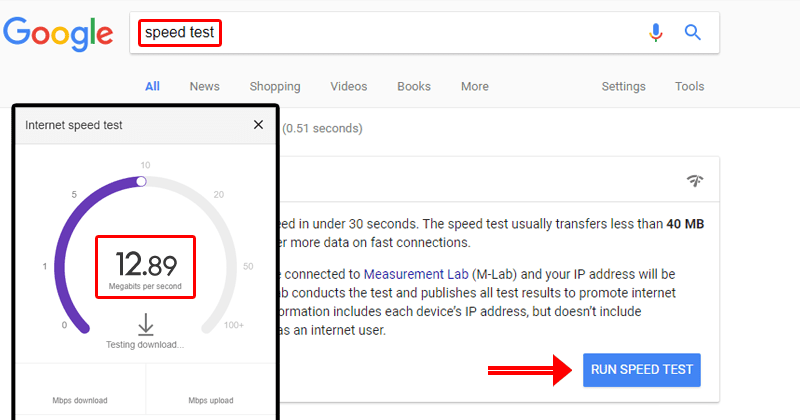 To do this, we only have to type the word: “speed test” in the Google search engine, so, a box will appear in which it will inform us how it works. After that, we can start the test by clicking the “RUN SPEED TEST” button. Without any doubt, this is an alternative for the market, perhaps not as reliable as others, but it is quite intuitive and we have it on hand without having to go to any website. So, what do you think about this new integration of Internet Speed Test tool directly in Google search? Simply share your views and thoughts in the comment section below.